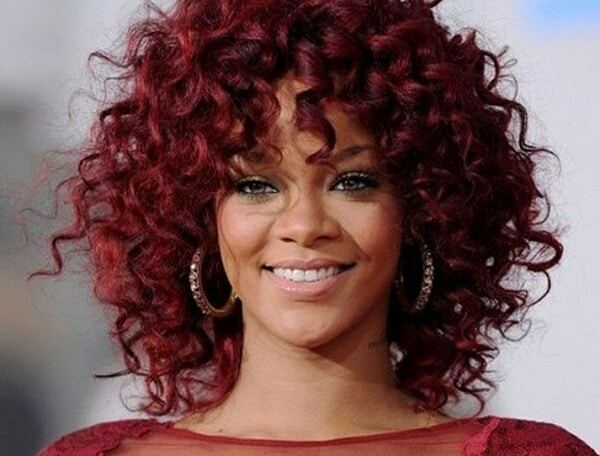 Do you know how to get natural curly hair? forget about your curling iron and use these products and tricks. Every woman would like to know how to get natural curly hair without using any heating tools that could damage the hair. If you have naturally curly hair, but you do know how to style it, or your locks are not well-defined, then stay tuned. You are about to learn some tricks. If you are wondering how to get natural curly hair, avoid towel-drying your hair after you wash it. Use mousse and apply on your hair, concentrating it on the roots to offer volume. Then, use a curl activator and work it into your hands before applying it onto your hair. Focus most of it on the ends of your hair. Next, apply a nourishing hair oil and work it through your ends. Brush your hair with wide-tooth combs to make sure all the products are spread equally into your hair. Part your hair like you always do. Let your hair air-dry to bring out the curls. The secret of beautiful curls is to not play with your hair while it’s air-drying. This tutorial is for girls who usually have wavy or curly hair. To style your curls without using heat, apply some coconut oil, massaging it into your scalp to stimulate hair growth. Shampoo your hair and then apply a hair mask. Leave the mask on for about an hour and then rinse your hair. Use a moisturizing hair style product. Concentrate the product on your ends. Let your hair air dry, and you are all set. First, apply castor oil on the roots and gently massage your scalp. Then, wet your hair before applying a hair mask. Next, apply a nourishing hair treatment and work it through your hair. After you apply this, you should cover your hair using food foil and leave the mask in for about 30 minutes. Take off the foil and wash your hair. Apply a hair conditioner and then rinse it off. Avoid using a towel on your wet hair and use a soft t-shirt instead. Gently squeeze the water out. Apply keratin oil on your locks and then a curl style milk. Let your hair air dry for 4-5 hours without playing with it. You will obtain amazing curls! If you have naturally straight hair and you want to obtain some nice curls without using heating tools, you will need some flexible straws. Besides the straws, you will also need some hair gel, hair spray and a water bottle with spritzer to spritz your hair. It is better if you do not use this trick on freshly washed hair. Separate your hair into many thin hair strands and apply hair gel and spritz some water on each strand. Then, grab a straw and wrap your hair around it and make a knot. Place a scarf over your head and tie it tight to keep them in place. Apply hair spray and then take out the straws. These hair tricks can help you learn how to get natural curly hair without damaging it with heating tools. If you have naturally wavy hair, your curls might be more defined. However, if you have straight hair, you can use the straw-trick to get amazing curly hair.